UK end of tenancy cleaning solutions are incredibly important for home owners who rent to multiple people. The kitchen area is perhaps one of the most important places within the home to clean. This is the area that many people spend the majority of their time after work. The ability to cook your own meal in a clean space is the driving force behind achieving the best possible cleaning. Bug and mould prevention is a huge issue when it comes to kitchen areas. Bugs gravitate toward the kitchen because there is a steady supply of food for them. However, if you cut off the food supply by cleaning the kitchen thoroughly, you might not have to hire an exterminator. Cleaning the oven is something that many homeowners take for granted. 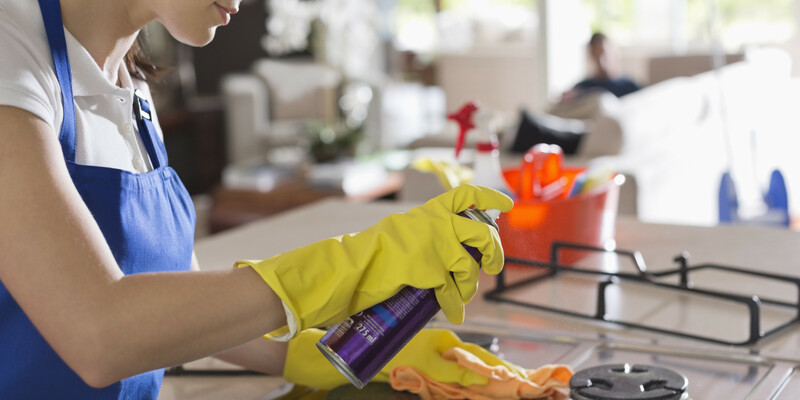 End of tenancy cleaning should include an exceptional oven cleaning service. Ovens have the potential to catch on fire if the leftover food is left to burn while it is in use. Hot grease can cause fires easily. Bugs also gravitate toward unused ovens which contain leftover food that has not been removed. Putrid smells occur as well if they are left untreated. Old food will burn and give off an acrid smoke smell. This leads to other issues like kitchen wall stains caused by the smoke. End of tenancy kitchen cleaning should include a thorough oven cleaning. Refrigerators must be cleaned inside and out to prevent roaches from taking up residence in and around it. Former tenants often leave behind food deposits and liquid spills that they might not even be aware of. The refrigerator must be thawed and defrosted before a thorough cleaning can actually take place. Quality cleaning companies will pay close attention to the refrigerator, and they will leave the switch on once they leave. This prevents mould from being able to take hold inside it. Cupboards are sometimes difficult to clean but they are no less important. They often hold leftover dried foods and other unseen crumbs. Cupboards are where bugs like roaches tend to congregate easily. In order to prevent the bugs from becoming a problem, you need to remove all excess foods and other debris. Empty bags still contain trace amounts of food, so they must be disposed of as well. Drawers should have all of their contents emptied to be cleaned so that the future tenants feel safe to use them.